March | 2014 | DEBtastic Reads! 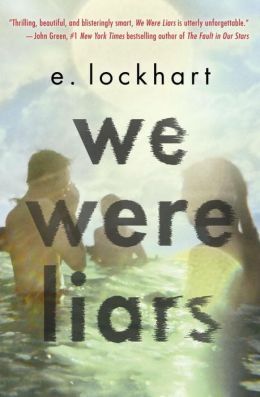 Welcome to the Spotlight E. Lockhart and We Were Liars! I’m jumping up and down with glee because I’m shining the spotlight on one of my favorite authors. Let’s give a warm welcome to E. Lockhart and her upcoming thrilling YA novel! Stay tuned below to win an advance copy. You’ll be able to read it before everyone else! I won’t lie to you about this: We Were Liars was an incredible read! A story filled with suspense and love and friendship. I had to read it in one sitting. How did this story come about? How did the characters come to you? It began with the adult characters. Three competetive sisters and a grieving patriarch. I wanted to write a kind of King Lear Chekovian thing about sisters and property and difficult family dynamics. I also had the idea for a setting — a private island off the coast of Massachusetts — partly because I love mysteries set in places like that, although I knew I wouldn’t be writing a mystery. You know, books like Agatha Christie’s And Then There Were None, where all the suspects are trapped in one inaccessible place. I also love country house books, like Enchanted April by Elizabeth Von Arnim or I Capture the Castle by Dodie Smith,Brideshead Revisited by Evelyn Waugh. So I was thinking about that kind of setting and how it might affect my characters. It took me much longer to think through what would be happening with the younger generation of people in the family, which of course was really going be my focus, since I write for young audiences. I knew that race would come into it. And a group of friends who had a very intense connection that turns destructive. I read Donna Tartt’s The Secret History and took a lot of notes about how she structured her plot and build character and tension. The Liars, as the three cousins and “adopted” cousin call themselves, spend every summer on an island where their parents and grandparents own homes. Sounds very posh, very ritzy. How did you spend your summers when you were a teen? Drama camp. If you’re curious, read my book Dramarama. All the drama camp angst went into that book. As for We Were Liars, my mother’s family does have a home on Martha’s Vineyard, a sweet little one-story place on two acres. Unbelievably nice but not crazy posh. Still, I have been going to the Vineyard since 1973, and as an adult I still go every summer, though as a teenager I found it boring. From those summers I got a lot of the details about the island setting, the moneyed WASP world there, and how beautiful it is and how also problematic. The story is built around Cady’s lost memory of the summer she was 15. How much of a challenge was it to write this story? How did you figure out all the details for the plot? I wrote We Were Liars in Scrivener, and it was the first book I wrote using that tool. Scrivener allows you to rearrange chunks of your story and label them. So I had all these parts labeled Fifteen and Seventeen and Flashback, to indicate whether the event happened in the summer the characters were fifteen or the summer they were seventeen, or further back. I organized and re-organized the parts many times. I always had the five-act structure, but what was actually in those five acts changed on a scene-by-scene basis. A day by day basis! I don’t really recommend this process. It was kind of a nightmare. I also read a lot of amnesia books and tried to learn from the way the authors revealed bits of memory and pieced story pieces together. I read Rosebush by Michelle Jaffe, Before I Go to Sleep by S.J. Watson, Burnout by Adrienne Vrettos, and a number of others. Anything else you’d like to share about the journey of this novel? I grew up reading loads of fairy tales — those collected by Andrew Lang (The Red Fairy Book etc) and Howard Pyle (The Wonder Clock etc.) — but also many in picture book form, particularly those illustrated by Trina Schart Hyman, who was my mother’s favorite contemporary illustrator. My mother also collected fairy tale books with illustrations by Arthur Rackham, Harry Clarke, and other late-19th and early 20th-century artists. We Were Liars makes use of some of that early education. In it, I retell a number of well-known fairy tales and some lesser-known, in such a way that the fairy tales tell the story of the family I am writing about — if that makes any sense. I had a whole part based on the fairy tale White Cat, and I ended up cutting it — but all the others stayed in, and I was pleased with how that part of the novel ended up working, as I wasn’t sure it would be any good at all when I began it. E. Lockhart is the author of a number of novels, including The Boyfriend List and its sequels, Dramarama, Fly on the Wall and The Disreputable History of Frankie Landau-Banks. She teaches at Hamline University’s MFA program in Writing for Children. For more about E. Lockhart and her books, check out her web site, her Twitter feed, her Pinterest board, and Tumblr. 1. Comment on this post. For fun, tell me what comes to mind when you think about your childhood/teen summers. Because I grew up in West Los Angeles, my summers usually involved hanging out at the beach in Santa Monica with my friends. We usually took the bus, but sometimes we (insanely) walked. Getting there was always half the fun. 3. Comment by midnight EST, Friday, March 28th. The winner will be drawn at random and announced here on Tuesday, April 1st. 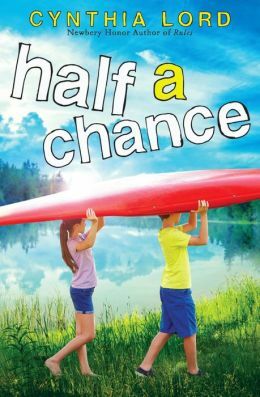 Thank you to everyone who stopped by to wish Cynthia Lord a happy book birthday for the release of her marvelous new MG novel HALF A CHANCE (Scholastic/2014)! While only one lucky winner drawn at random will receive a signed copy of this book, you all can be winners if you rush out to buy and read this heart-warming book. 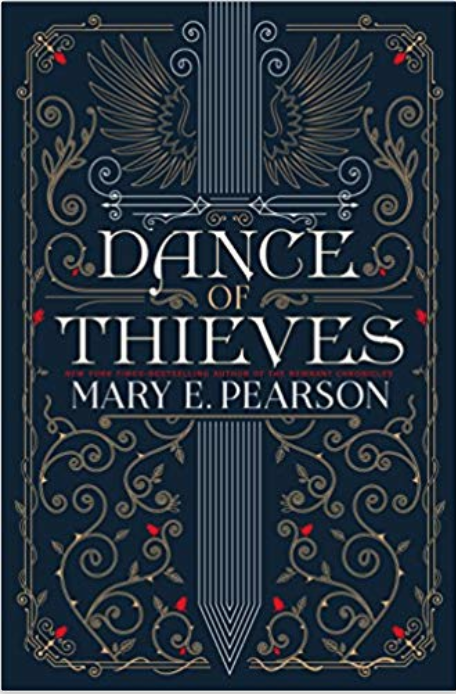 At this writing, I just now finished reading this book and loved it! It makes me want to take a summer vacation lakeside in New Hampshire. I so want to see and hear the loons. It also makes me want to pick up my camera to take more photos, tell more stories! And I adore 12-year-old Lucy and new friend Nate. It’s truly a touching story about friendship, family, and making and keeping memories. Number FOUR! That’s Nancy Tandon! Congratulations! Be sure to email me with your mailing address and to whom you’d like the book signed. Thanks for stopping by and come back soon for another give-away, and more book buzz!